Order in the next 1 hour, 15 minutes an 32 seconds for same day shipping. Our wooden cross is perfectly cut by laser machine to show a flawless finish. 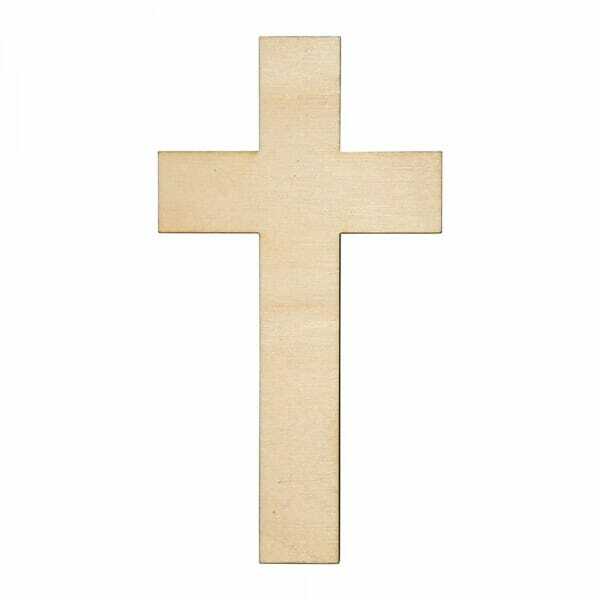 Made from 3mm of Birch wood, the wooden cross comes in various sizes ranging from 25mm to 250mm, presenting you with the choice of the best one for you. The cross can be coloured, glittered and glued allowing you to utilise it for many different tasks including interior design or large art projects. Customer evaluation for "Craft Shapes - Cross"